Custer started 36th, finished 11th. Custer piloted the Haas AutomationFord inside the top-15 before a lap-30 caution. He battled inside the top-10 during the closing laps, but noted tight-handling conditions and fell to 11thplace. Custer pitted for four tires, fuel and chassis adjustments at the conclusion of Stage 1. Custer started 12th, finished 17th. Custer was caught in traffic during the restart and fought in and around the top-10 for the majority of the stage. During a lap-79 caution, Custer pitted for four tires, fuel and adjustments to restart 21st. 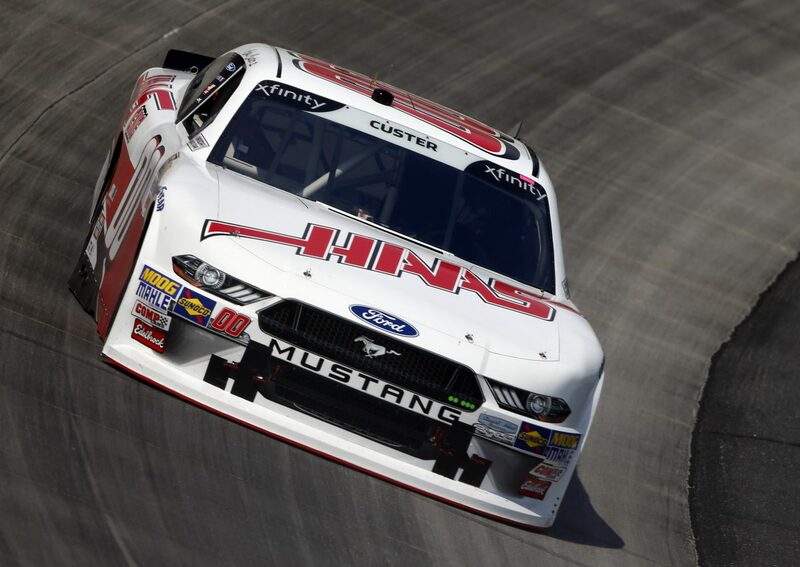 Custer preserved the tires of his Haas Automation Mustang and did not pit after Stage 2 concluded. Custer started fifth, finished 13th. Custer sustained damage to his left-rear quarter panel on lap 101 after contact with another competitor, pushing him back to 14th. He pitted during a lap-130 caution for four tires, fuel and adjustments to correct tight-handling conditions. Custer restarted 10th and raced from the ninth position until he was caught in traffic and forced outside of the top-10. He drove his Haas Automation Ford to the 13thposition before the race concluded. This was Custer’s third NASCAR Xfinity Series start at Dover. Eight cautions slowed the race for 45laps. Only 23of the 40drivers finished on the lead lap. No NASCAR Cup Series drivers were entered in the OneMain Financial 200. Justin Allgaier won the OneMain 200 to score his sixth career Xfinity Series victory, his first of the season and first at Dover. His margin of victory over second-place Elliott Sadler was .306of a second.